Samsung has officially announced the Galaxy Note 8 at the Mobile World Congress 2013. The device is expected to take on the Apple iPad mini. 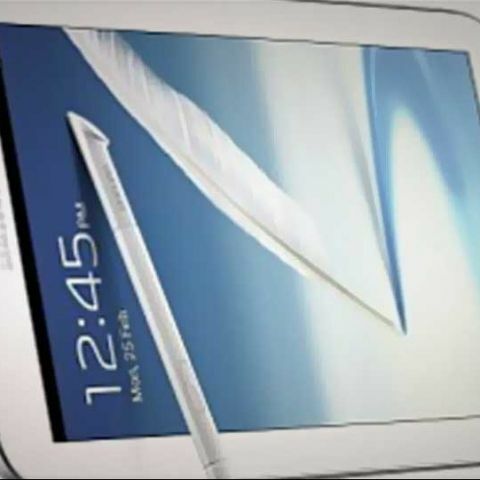 The Note 8 has an 8-inch display, quad-core 1.6GHz processor and runs on Android 4.1 Jelly Bean. MWC 2013 has barely kicked off and one of the first devices to be unveiled at the event is the Samsung Galaxy Note 8.0, as expected. No other device was shown off, with the Note III, and Galaxy S IV still under wraps. The S IV though, has been confirmed for a March 14 unveiling by Samsung, more on that soon later. The Galaxy Note 8.0 looks like an 8-inch version of the Samsung Galaxy S III, and Note II. In terms of the specifications under the hood, the Note 8’s display has 1280x800 pixel resolution. A quad-core 1.6GHz Cortex-A9 processor on the Exynos 4412 chipset, with a Mali-400MP GPU, and 2GB of RAM. It comes with 16GB and 32GB built-in storage, which is expandable up to 32GB via a microSD card. It has a 5MP rear-facing camera and a 1.2MP front-facing camera. It has a 4,600 mAh batterym stereo speakers. 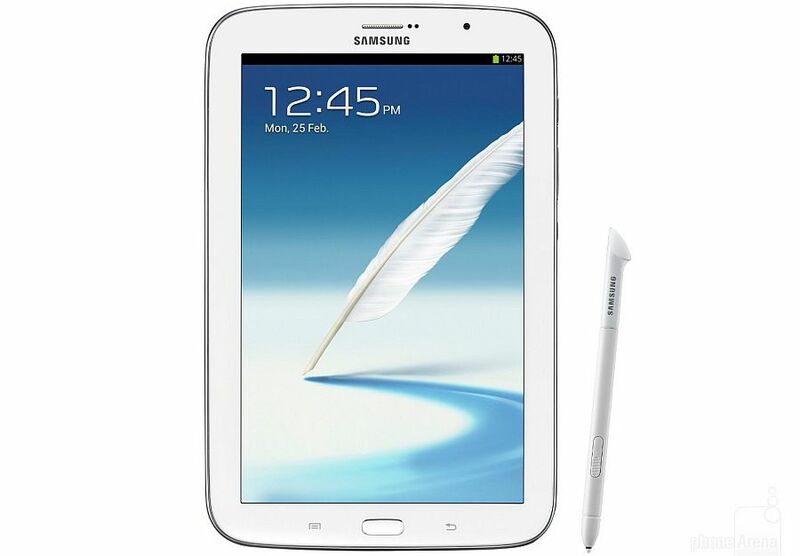 The tablet will run on Android 4.1.2 Jelly Bean skinned with Samsung TouchWiz. The Note 8.0 is relatively slim, at 7.95 mm thin, and weighs a mere 338 grams. It also has an IR port for TV control, which is an interesting addition, as it will help users of the Note 8 tie in to the Samsung ecosystem by helping users of the device remotely control their Samsung TV. Just a few days ago, we have seen the launch of the HTC One, which also boasts of IR support. This will help you use the HTC One has a media controller. There is a Wi-Fi only, as well as 3G Wi-Fi version of the tablet that will be launched. Just like other devices in Samsung’s Note family, the Note 8.0 will also support the S Pen and will show off the features we have come to love from the Galaxy Note II. Samsung hasn’t announced a release date or price point for the Samsung Galaxy Note 8. A quick look at the specifications and the form factor of the device and you realize that it is targeted at taking on the Apple iPad mini. The iPad mini has a 7.9-inch display with a 1024x768 pixel resolution and comes in 16GB, 32GB and 64GB variants without an expandable storage option. It comes in both Wi-Fi as well as 4G Wi-Fi.